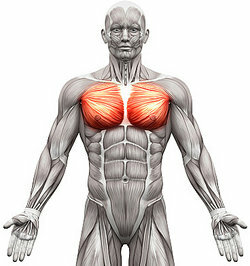 Skeletal muscles, also called striated muscles, are voluntary muscles that move the bones and support the skeleton. Superficial muscles are close to the skin and deep muscles are deeper inside the body. There are 640 skeletal muscles and almost all are found in pairs. Now you have seen examples of skeletal muscles in all different parts of the skeleton. "Examples of Skeletal Muscle." YourDictionary, n.d. Web. 23 April 2019. <https://examples.yourdictionary.com/examples-of-skeletal-muscle.html>.